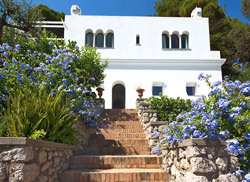 I'm Luigi De Gregorio and, since I was a kid, I've worked on the island of Capri. I started my career when I was just 12 years old, working in my family's famous La Pigna restaurant which, thanks to the talent and dedication of my grandmother, Giuseppina de Martino, and my father, Renato De Gregorio was awarded not 1, but 2, Michelin stars.This experience gave me the opportunity to understand, from a very early age, the needs and desires of the discerning international clientele which Capri has always attracted. In 1992, I created Capri Promotion, company specialized in the organization of events, weddings and receptions. 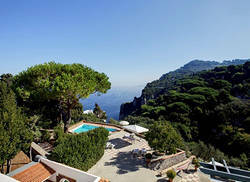 From here, the business expanded to comprise villa rental. 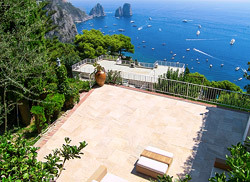 Today, after 12 years, Capri Promotion manages 21 villas available for unique events and unforgettable vacations. 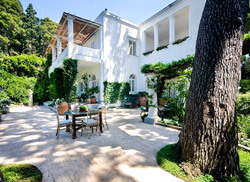 With 26 years in the hospitality industry under my belt, in 2013, I decided to create Capri Villas, designed for those holidaymakers looking for a private villa on the island of Capri, complete with concierge service and around-the-clock assistance.